Olaf is a Poodle around 1 year old. He is sitting at the local animal county shelter hoping to find a family. Please lets find him a loving home! 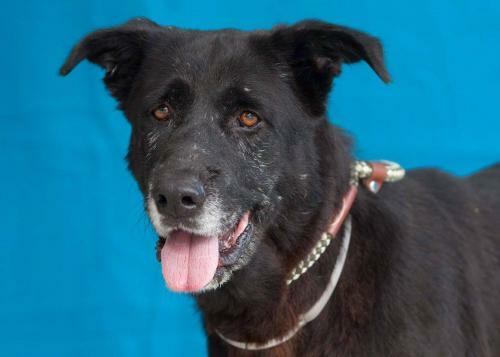 Wiley is a regal Labrador Retriever who is 7 years old and 71 lbs. 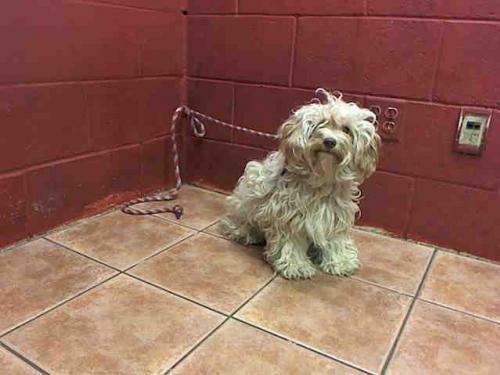 He was found without either a collar and attached identification tags or a microchip in Huntington Park and brought to the Downey Shelter. Wiley has a low to medium energy level, walks expertly on leash and appears to be housebroken. He gets along okay with other dogs and we expect he will do fine with children. Wiley is a perfect gentleman and an ideal indoor pet for an individual or family living in a private home. Please lets find him a great home! Laura is a Labrador mix who is 4 months old and 22 lbs.. She needs a foster home. If approved, fosters have first priority for adoption as well. Please lets find her a good home! 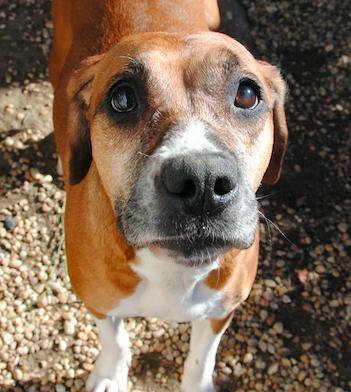 Daisy is a Hound mix who is 4-6 years old and 42 lbs. 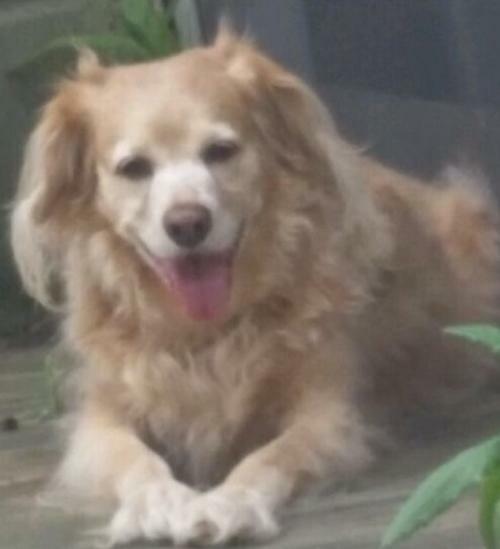 She is a lovely girl with big brown eyes who really, really wants to please her owner. She was found as a stray. She loves to have her tummy rubbed and will roll over and beg you to rub away. Daisy would be a great family pet for families with older children, other dogs or cats - we can imagine her happily sitting by the fire on a winter night, just looking adoringly at her new family. Please lets find her a loving home! 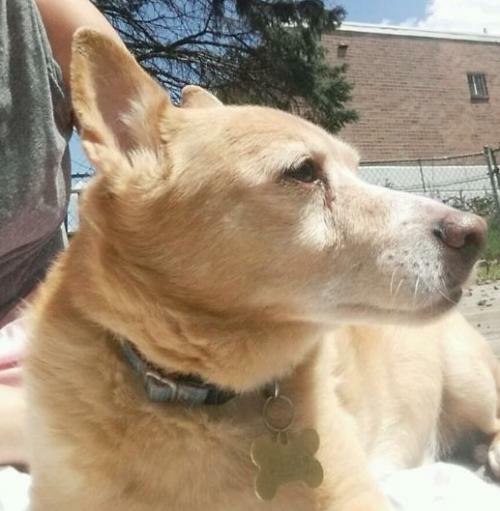 Snickers is Spaniel/Corgi mix about 15 years old, and his buddy Reesee is a Toy Fox Terrier 10 years old. Poor Snickers and Reesee just lost their dad and now their whole world has been turned upside down. They went from having someone home for company all day and a fenced yard to play in, to a home where their new caretaker works full time and can only take them for leash walks. As you can imagine, the boys are terribly confused and worried about what life might hold for them. Their caretaker is doing her best, but she knows the boys would be happier in a situation similar to what they’re used to, so she’s asked us to help them find a new special someone who can make them feel safe again. They get along fine with other dogs, and while like many older dogs they aren’t crazy about energetic little kids, they will just avoid them rather than bite. Both are in good health and recently had a check up, so their bags are packed and they’re ready to go. Their situation is rather urgent. Please lets find them a great home! 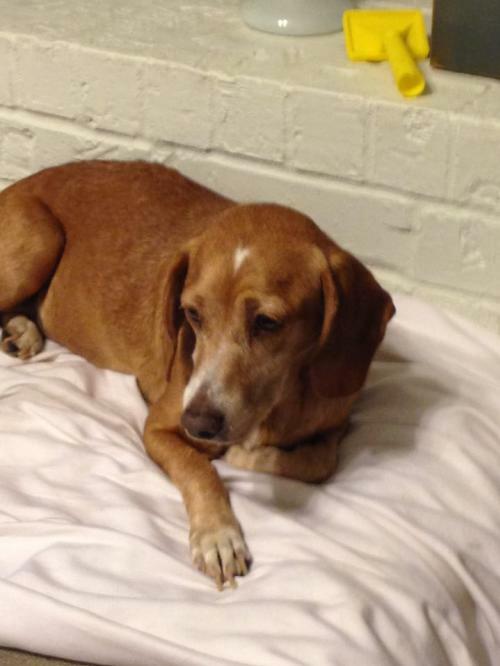 Dixie is a Dachshund mix who was found after she had been hit by a car. Dixie has a broken Pelvis and is Heart Worm Positive, but she is on the road to recovery. A few weeks of bed rest and then she should be perfect. What a sweet personality. She is a little love bug. Please lets find her a good home!